Unwanted guests are never fun, especially when you can’t ask them to leave. Luckily, Renfrew-Collingwood pest control companies have no problem kicking them out. Whether there’s a rodent in your basement or insects in the attic, call your local Renfrew-Collingwood exterminator to take care of them — do not try to wrangle them out yourself! Not sure which type of home pest control service in Renfrew-Collingwood, BC can tackle your issue? Read profiles and ask about their past experiences to get a good idea. It's not pleasant when you find your home has become a haven for bed bugs or other pests. 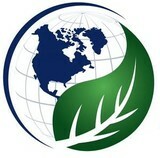 If your living space is a safe refuge from nature, then you feel comfortable enough to call it a 'home'. On the other hand, when pests invade your home, you feel unsettled and sometimes downright threatened! Bugs, rats, mice, or spiders in your home might affect your health, social life, or cause damage to your property. We understand exactly how you feel. 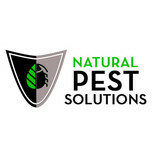 We've helped lots of Vancouver homeowners get rid of pests fast. By calling OnSite Pest Control, you have taken the first step in pest removal and will shortly be able to rest easy in your home again. While every home is different, through years of service, OnSite has created a standard procedure that ensures that we are continually pushing our teams to provide excellent, safe, and efficient pest removal service. 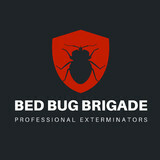 Our 5-step approach is what sets us apart as an expert exterminator company in Vancouver, with specialization in bed bug removal.